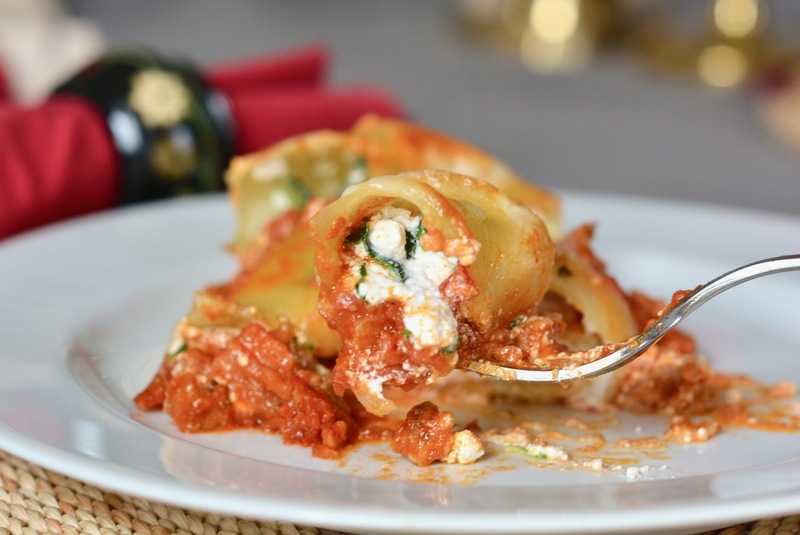 Baked pasta is always a favorite in my house. See, it’s filling and comforting and even my kids want seconds. 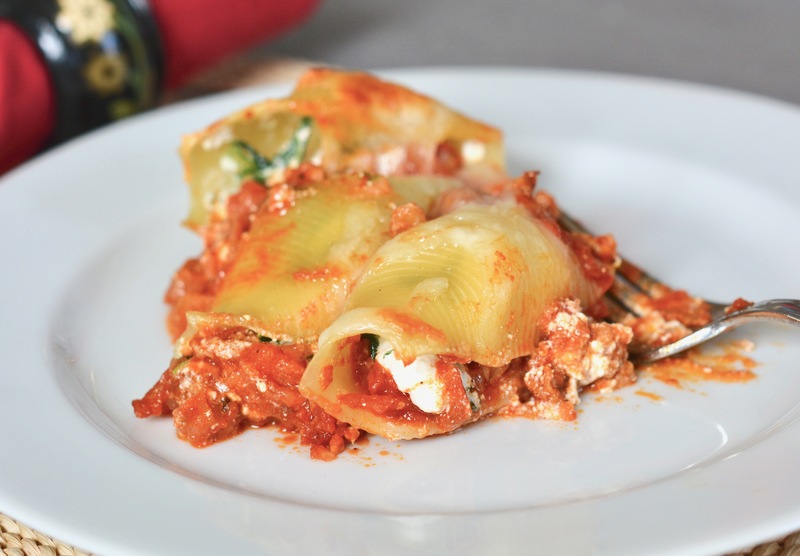 Here’s something else: Making stuffed shells requires less work than lasagna. And, it’s so easy to sneak some veggies in (my kids never notice the leafy greens!). You can also change things up by using chicken or beef, instead of sausage, and other green veggies (like kale or broccolini). Enjoy! Step 1: Warm the olive oil in a large skillet. Add the crumbled sausage and cook it for about 5 minutes, or until it is no longer pink and it is cooked through. Use a wooden spoon to break up the sausage into smaller pieces while it cooks. Remove from heat and transfer to a plate lined with a paper towel to cool and drain. Step 2: Place the tomatoes, butter, onion halves, basil, and salt in a large saucepan and allow everything to simmer on very low heat for 45 minutes, stirring occasionally. After simmering is complete, discard the onion halves. Step 3: Preheat oven to 350ºF. Boil the shells in salted water according to package directions. Drain and allow to cool until you can easily handle them. Step 4: In a large bowl combine the ricotta, Parmesan cheese, and pepper. Mix it with a fork until well combined but still fluffy. Stir in the cooked sausage. Step 5: Pour a thin layer of tomato sauce onto the bottom of a 9×13 baking dish. Then, scoop a heaping teaspoonful of the cheese mixture into each shell and line them up in the baking dish. 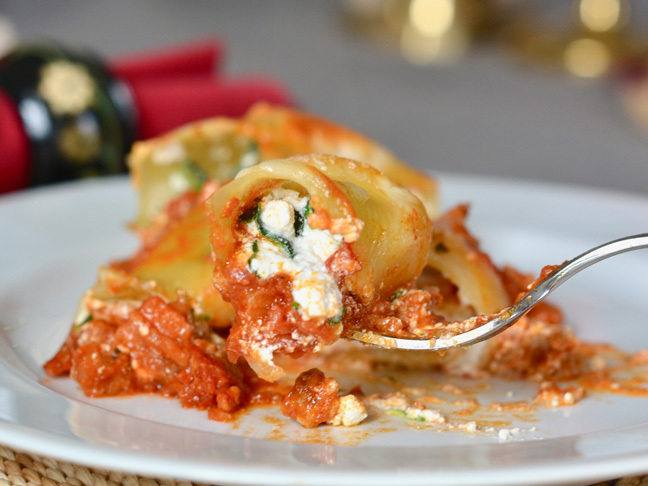 Ladle a second layer of marinara sauce on top of the shells and sprinkle with Parmesan cheese. Step 6: Bake the shells for 35 minutes, or until heated through. Serve warm.